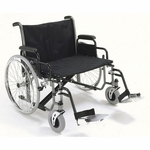 The ProBasics Aluminum Transport Chair with 12� rear wheels provides a handy back-release hinge allowing the back to fold down for easy storage and transport. 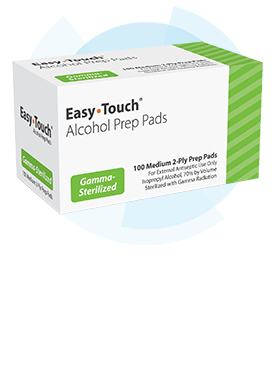 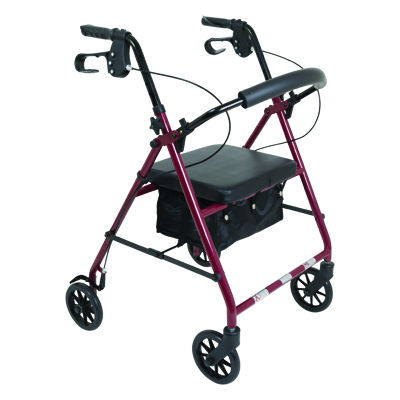 The companion activated hand brakes are ideal for locking the rear wheels during patient transfers, and provide for added safety and control. 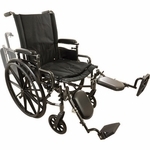 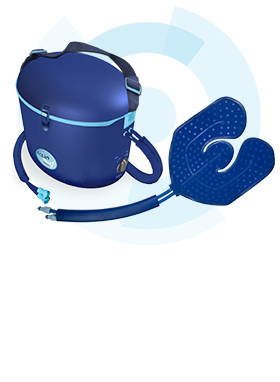 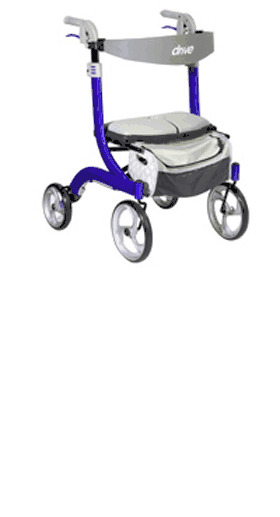 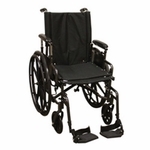 Comes complete with seat belt, swingaway footrests with composite footplates and heel loops. 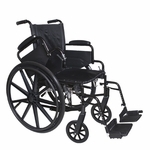 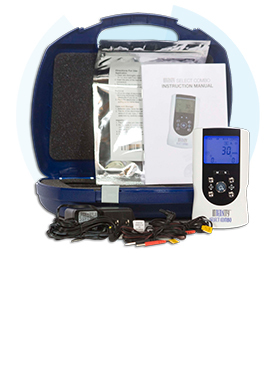 Supports patient weights up to 300 lb.